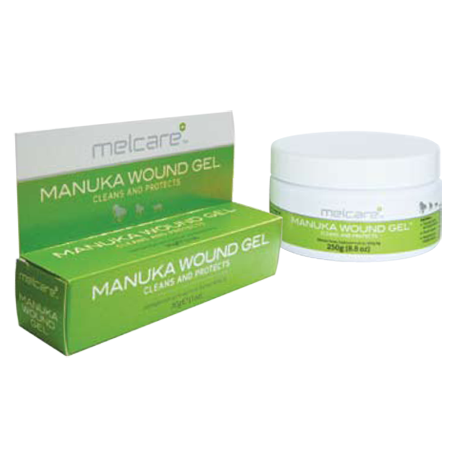 Naturally derived from Manuka Honey, Melcare Manuka Wound Gel 30g Tub helps stimulate the healing process for wounds. The Natural Wound Healer - naturally derived from Manuka Honey. Provides the right microenvironment within the wound to stimulate the healing process. Can be safely applied directly to the wound or on an appropriate dressing for acute, surgical, chronic or malodorous wounds. Helps deodorize the wound to protect from fly strike. Low pH level allows direct application on the wound while being gentle on the pet's skin. Helps protect the wound from contamination and bacterial infection.